I had a really weird weekend. I don't really know why it was weird, but it was. I didn't have a ton of motivation to work on anything, and I felt pretty down. I think it had something to do with the weather because it's tornado season in Alabama. Plus school hasn't fully started since this is our first full week after two weeks. However, I have to keep trying to remind myself that there's an end goal, and no matter how crappy I feel my goals are still going to be there. 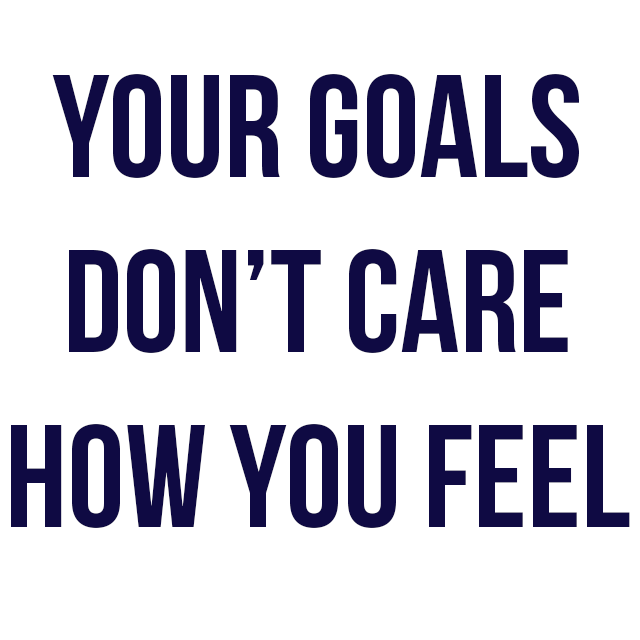 My goals are going to stop being there because I am not "up to it." I have to push through icky feelings and lack of inspiration sometimes to get where I need to go. I totally love this quote & haven't heard it before! !